Enter your Incorporation / Registration No. Step 4 :Enter your Incorporation / Registration Date. Step 10:File the Incorporation / Registration certificate of the company. Here is a list of startup schemes launched by the Indian government and run under different ministries and are further headed by different departments. Industry Applicable: IT Services, analytics, enterprise software, technology hardware, Internet of Things, AI. Eligible For: MSMEs and technology startups in the ICTE sector. Overview: The scheme, launched by the Indian government, aims to provide financial support to MSMEs and technology startup units for international patent filing to encourage innovation and recognise the value and capabilities of global IP along with capturing growth opportunities in the ICTE sector. Fiscal Incentives: Reimbursement will be limited to a total of INR 15 Lakhs per invention or 50% of the total expenses incurred in filing and processing of the patent application upto grant, whichever is lesser. Time Period: The scheme is valid upto 30.11.2019. Eligible For: Startups, incubator/academia/accelerators. Should have projects in electronics & information technology. Overview: The MGS aims to encourage collaborative R&D between industry and academics/R&D institutions for development of products and packages. Fiscal Incentives: The Government grants for individual industry would be limited to a maximum of INR 2 Cr per project and the duration of each project should, preferably, be less than two years. For industry consortiums, these figures would be INR 4 Cr and three years. Industry Applicable: IT services, fintech, enterprise software, analytics, AI. Overview: The STPI has been set up with the objective of encouraging, promoting, and boosting software exports from India. The STP Scheme, by the Indian government, provides statutory services, data communications servers, incubation facilities, training and value-added services. The scheme allows software companies to set up operations in convenient and inexpensive locations and plan their investment and growth, driven by business needs. Fiscal Incentives: Sales in the DTA up to 50% of the FOB value of exports is permissible and depreciation on computers at accelerated rates up to 100% over 5 years is permissible. Industry Applicable: IT Services, analytics, enterprise software, technology hardware, Internet of Things, AI, nanotechnology. Eligible For: Startups pursuing innovation in technology sectors like electronics, IT, and nanoelectronics. Overview: The agenda was envisaged to develop the Electronics System Design and Manufacturing (ESDM) sector to achieve “Net Zero Imports” by 2020. The EDF will help attract venture funds, angel funds and seed funds towards R&D and innovation in the specified areas. It will help create a cell of Daughter funds and Fund Managers who will be seeking good startups (potential winners) and selecting them based on professional considerations. Fiscal Incentives: The Electronic Development Fund (EDF) is set up as a “Fund of Funds” to participate in professionally-managed “Daughter Funds” which, in turn, will provide risk capital to companies developing new technologies. CANBANK Venture Capital Funds Ltd. (CVCFL) is the Fund Manager for EDF. Industry Applicable: Technology hardware, Internet of Things, aeronautics/aerospace & defence, automotive, non-renewable energy, renewable energy, green technology and nanotechnology. Overview: The scheme aims to support IPR awareness workshops/seminars for sensitising and disseminating awareness about Intellectual Property Rights among various stakeholders especially in the E&IT sector. Fiscal Incentives: This startup scheme by Indian government provides a capital subsidy of 20% in SEZ (25% in non-SEZ) for units engaged in electronics manufacturing. It also provides for reimbursements of CVD/ excise for capital equipment for the non-SEZ units. For some of the high capital investment projects like the scheme provides for Central Taxes and Duties reimbursement of Central Taxes and Duties. To apply online, one can click here. Eligibility: This startup scheme by the Indian government is eligible for educational institutes and industry bodies like MAIT, ELCINA, CII, NASSCOM, FICCI, IESA, ASSOCHAM, etc., DeitY Society(ies) or DeitY Autonomous Body(ies). It is mandatory that the organisation should be registered with the Central Plan Scheme Monitoring System (CPSMS) portal, in order to apply for support for IP Awareness Workshop(s)/Seminar(s). Overview: The scheme provides IP (Intellectual Property) awareness workshops and seminars and funding grants. Fiscal Incentives: The organisations are provided with a grant of INR 2 Lakhs to INR 5 Lakhs. This includes educational institutes – INR 2 Lakhs, industry bodies – INR 3 Lakhs and DeitY Society(ies) or DeitY Autonomous Body(ies) – INR 5 Lakhs. Industry Applicable: Chemicals, technology hardware, healthcare & lifesciences, aeronautics/aerospace & defence, agriculture, AI, AR/VR (augmented + virtual reality), automotive, telecommunication & networking, computer vision, construction, design, non-renewable energy, renewable energy, green technology, fintech, Internet of Things, nanotechnology, social impact, food & Beverages, pets & animals, textiles & apparel. Eligibility: The parent institution should have requisite expertise and infrastructure. This includes a minimum dedicated space of about 5,000 square feet to establish a NewGen IEDC, library, qualified faculty, workshops, etc. Overview: The NewGen IEDC is being promoted in educational institutions to develop an institutional mechanism to create an entrepreneurial culture in S&T academic institutions and to foster techno-entrepreneurship for generation of wealth and employment by S&T persons. As of now, there are total 40+ EDCs and 35 IEDCs in different states. Fiscal Incentives: The NSTEDB startup scheme by Indian government will provide a limited, one-time, non-recurring financial assistance, up to a maximum of INR 25 Lakhs. Also, non-recurring grants would be provided for supporting working capital cost. Eligibility: Assistance under this scheme by Indian government will be available to individuals, farmers, producer groups, partnership/proprietary firms, self-help groups, companies, agri-preneurs, units in agri-export zones, and agriculture graduates individually or in groups for setting up agri-business projects. For professional management and accountability, the groups have to preferably form into companies or producer companies under the relevant Act. Overview: Venture Capital Assistance is financial support in the form of an interest-free loan provided by the SFAC to qualifying projects to meet the shortfall in capital requirements for implementation of the project.The Scheme was implemented during 2012-17 in the XII Plan. SFAC has formed tie-ups with 41 banks to provide financial support. 26% of the promoter’s equity. 40% of the promoter’s equity. Time Period: This startup scheme is valid for the period between 2012-2017. Eligibility: The scheme is applicable for new and existing Micro and Small Enterprises engaged in manufacturing or service activity excluding retail trade, educational institutions, agriculture, self-help groups (SHGs), training institutions, etc. Overview: The scheme was launched by the Indian government to strengthen the credit delivery system and facilitate the flow of credit to the MSE sector. Lending institutions majorly included public, private, foreign banks along with regional rural banks, and SBI and its associate banks. Fiscal Incentives: Both term loans and/or working capital facility up to INR 100 Lakhs per borrowing unit are being provided. The guarantee cover provided is up to 75% of the credit facility up to INR 50 Lakhs (85% for loans up to INR 5 Lakhs provided to micro enterprises, 80% for MSEs owned/operated by women and all loans to NER including Sikkim) with a uniform guarantee at 50% for the entire amount if the credit exposure is above INR 50 Lakhs and up to INR 100 Lakhs. Eligibility: MSMEs registered in India are eligible to apply under this scheme. In May 2017, the guidelines were revised which stated that a unit with a turnover of INR 1 Cr or above will be eligible under the scheme. Now the case of rating needs to be recommended by a bank or NBFC. Overview: The scheme aims to create awareness about the strengths and weaknesses of small-scale industries. It was formulated by the Ministry of MSME under the Indian government in consultation with various stakeholders i.e. Small Industries Associations & Indian Banks’ Association and various rating agencies viz. CRISIL, ICRA, Dun & Bradstreet (D&B) and ONICRA. Fiscal Incentives: The incentives are proportional to the turnover of the MSMEs. For instance, up to INR 50 Lakhs, 75% of the rating fee or INR 25,000 (whichever is less) will be contributed under the scheme. For turnover above INR 50 Lakhs to INR 200 Lakhs, 75% of the fee or INR 30,000 (whichever is less) while for turnover more than INR 200 Lakhs, 75% of the fee or INR 40,000 (whichever is less). Eligibility: MSMEs registered in India are eligible to apply under this scheme. Overview: This startup scheme aims at helping MSMEs by way of financing the purchase of raw material (both indigenous & imported), thereby giving an opportunity to MSMEs to focus on manufacturing quality products. Fiscal Incentives: Under this scheme by the Indian government, MSMEs will be helped to avail economics of purchases like bulk purchase, cash discount, etc. Also, all the procedures, documentation and issue of letter of credit in case of imports will be taken care of. Security will be in the form of Bank Guarantee from Approved/Nationalised Banks. Time Period: MSMEs will get financial assistance for procurement of raw material up to 90 days. In case outstanding dues are cleared within 270 days, micro enterprises will bear 9.5%- 10.5% interest while small and medium enterprises will have to pay 10% to 11% interest. Eligibility: Non-Government organisations (NGOs), institutions of the Central and State Governments and semi-Government institutions, field functionaries of State and Central Govt., Panchayati Raj institutions (PRIs), private sector by forming cluster specific SPVs, corporates and corporate social responsibility (CSR) foundations with expertise to undertake cluster development are eligible to apply under this scheme. Overview: The objectives of this scheme launched by the Indian government is to organise traditional industries and artisans into clusters to make them competitive and provide support for their long-term sustainability. At the same time, it also aims to enhance the marketability of products of such clusters, build up innovative and traditional skills, and more to gradually replicate similar models of cluster-based regenerated traditional industries. For NER/J & K and the Hill States, there will be 50% reduction in the number of artisans per cluster. Time Period: The timeframe for the implementation of the project will be three years. Eligibility: All micro and small enterprises registered with the Director of Industries (DI)/District Industries Centre (DIC) as manufacturing/service enterprises or having an acknowledgement of Entrepreneurs Memorandum (EM Part-II) are eligible for registration under this scheme by the Indian government. Those who have already commenced their commercial production but not completed one year of existence, a Provisional Registration Certificate can be issued to them under SPRS scheme with a monitory limit of INR 5 Lakhs, valid for the period of one year from the date of issue. Overview: With a view to increasing the share of purchases from the small-scale sector, the Government Stores Purchase Programme was launched in 1955-56. NSIC registers micro & small enterprises (MSEs) under the Single Point Registration Scheme (SPRS) for participation in government purchases. Fiscal Incentives: The eligible micro and small enterprises will get an exemption from payment of Earnest Money Deposit (EMD) and will be issued tender sets free of cost. In tender participating, MSEs quoting price within the price band of L1+15 per cent shall also be allowed to supply a portion up to 20% of the requirement by bringing down their price to L1 Price where L1 is non-MSEs. Time Period: The SPRS Certificate granted to the micro & small enterprise is valid for two years. It will be reviewed and renewed after every two years by verifying continuous commercial and technical competence of the registered micro & small enterprise in manufacturing / producing the stores for which it has been registered by NSIC. Eligibility: All MSMEs with an Entrepreneurs Memorandum (EM) registration. Overview: Aspire has been launched by the Indian government with an objective to set up a network of technology centres, incubation centres to accelerate entrepreneurship and also to promote startups for innovation and entrepreneurship in rural and agriculture-based industry. It also includes the setting up of Technology Business Incubators (TBIs). As per the June 2017 status report of Startup India Action Plan, 15 TBIs are being set up. 11 TBIs have been approved and four others are in advanced stages. Six Technical Business Incubators are in advanced stages of approval by DST. INR 34.92 Cr has been sanctioned and INR 15.3 Cr has been already disbursed to nine TBIs. One-time grant of 50% of the cost of Plant & Machinery excluding the land and infrastructure or an amount up to INR 30 Lakhs, whichever is less to be provided for supporting 20 existing incubation centres. One-time grant of 50% of the cost of Plant & Machinery excluding the land and infrastructure or an amount up to INR 100 Lakhs, whichever is less to be provided for setting up of new incubation centres. Support would be provided for incubation of ideas at the inception stage, each idea would be provided financial support @INR 3 Lakhs per idea to be paid up front to the incubator to nurture the idea, with a target to support 450 ideas. A one-time grant of INR 1 Cr will be provided to the eligible incubator as Seed Capital. The Incubator will invest as Debt/ Equity funding upto 50% of total project cost or INR 20 Lakhs per startup, whichever is less. 150 such innovative and successful ideas to be supported. INR 200 Lakhs for Accelerators to hold 10 workshops for incubates [out of the existing centres supported and new centres set up] to assist for creating successful business enterprises. Plans to conduct 10 such workshops. Time Period: Period of incubation to be 12 months to 24 months. Eligibility: space shall be allotted to IT/ITES/MSME units not registered with STPI (Software Technology Parks Of India Scheme). It will be allotted to only those units that are falling under the overall definition of MSME as per the guidelines of Ministry of Micro, Small and Medium Enterprises. Units other than MSMEs such as Banks/PSUs/financial institutions, corporate sectors etc. would also be considered for allotment on a case-to-case by merit. Overview: This scheme by the Indian government aims to solve the office space issues of MSMEs. The Corporation has commercial buildings at New Delhi, Chennai, and Hyderabad. Apart from other schemes, the Corporation provides office space on a lease rental basis to prospective units. Fiscal Incentives: The sizes of available office space range from 467 sq.ft. to 8,657 sq.ft. The unit has to deposit interest-free Security deposit equivalent to six months rent refundable at the time of vacation of premises. The rentals are reviewed every year. Time Period: The notice period is for 90 days. There is no lock-in period. Eligibility: Unit having valid permanent registration with the Directorate of Industries/District Industries Centre are eligible under this scheme. The selection of small/micro manufacturing units would be done by MSME-DIs as per displayed product profile, the theme of the fair and space availability. Furthermore, Micro & Small manufacturing enterprise can avail this facility only once a year and only one person of the participating unit would be eligible for the subsidy on airfare. Overview: The scheme offers a funding to interested individuals aimed at increasing participation of representatives of small/micro manufacturing enterprises under the MSME India stall at international trade fairs/exhibitions. This scheme by the Indian government also encourages small & micro exporters in their efforts at tapping and developing overseas markets and enhance export from the small/micro manufacturing enterprises. Fiscal Incentives: 75% of air fare by economy class and 50% space rental charges for micro & small manufacturing enterprises of General category entrepreneurs will get reimbursed under this scheme. For women/SC/ST entrepreneurs & entrepreneurs from North Eastern Region, 100% space, rent, and economy class airfare will be reimbursed. The total subsidy on air fare & space rental charges will be restricted to INR 1.25 Lakhs per unit. Eligibility: The MSMEs should have been in continuous manufacturing/services for the last four years and should have Udyog Aadhaar Memorandum (UAM). MSMEs would also have to mandatorily register in MSME Databank web portal before submitting their application. Overview: With a view to recognising the efforts and contribution of MSMEs, the Ministry of MSME gives National Awards annually to selected entrepreneurs and enterprises under the scheme of National Awards. Fiscal Incentives: The Selected National awardee is facilitated with a cash prize of INR 1 Lakh, INR 75K, INR 50K in order of ranking. Cash prizes of INR 1 Lakh are provided under Special National Award category to women, SC/ST and North Eastern Region (NER) entrepreneur. Time Period: The awards are given every year. Eligibility: All coir processing MSME units registered with the Coir Board under Coir Industry (Registration) Rules, 2008 are eligible under this scheme by the Indian government. There will be no income ceiling for assistance for setting up of a project under the Coir Udyami Yojana. Assistance under the Scheme will be made available to individuals, companies, self-help groups, non-governmental organisations, institutions registered under the Societies Registration Act 1860, production co-operative societies, joint liability groups, and charitable trusts. However, the units that have already availed a Govt. subsidy under any other Scheme of Govt. of India or State Govt. for the same purpose are not eligible to claim a subsidy.Overview: The scheme aims to support the setting up of coir units with a project cost upto INR 10 Lakhs plus one cycle of working capital, which shall not exceed 25% of the project cost. The banks shall consider a composite loan instead of a term loan to cater to the working capital requirements. This should be exclusive of INR 10 Lakhs limit proposed. However, the subsidy will be computed excluding working capital component. Fiscal Incentives: Banks will finance capital expenditure in the form of a term loan and working capital in the form of cash credit. Projects can also be financed by the bank in the form of composite loans consisting of cap ex and working capital. The amount of credit will be 55% of the total project cost after deducting 40% margin money (subsidy) and owner’s contribution of 5% from beneficiaries. Time Period: Rate of interest chargeable for the loans shall be at par with the base rate. Repayment schedule may not exceed seven years after an initial moratorium, as may be prescribed by the concerned bank/financial institution. Eligibility: State/Central Government Organisations, Industry/Enterprise Associations, and Registered Societies/Trusts and Organisations associated with the MSME are eligible to apply under this scheme. The organisation should be registered with the primary objective of promotion and development of MSMEs. It should be engaged in such activities for at least three years and should have regular audited accounts for the past three years. Events, for which financial support under the Scheme is sought, must have significant international participation. Overview: Under this scheme by the Indian government, financial assistance for travel and marketing expenditures relating to the development of the MSME sector in India is supported by the department. The objective is to make MSMEs internationally competitive by technology infusion/upgradations, modernisation of MSMEs, and promotion of exports of MSMEs. Fiscal Incentives: The incentives vary as per the category of organisation. For instance, MSME gets 100% of the economy class airfare subject to a maximum of INR 1.5 Lakhs or actual fare paid, whichever is lower. On the other hand, off bearer of the applicant organisation also gets an additional duty allowance of INR 150 per day along with the airfare subjected to limitations above. MSMEs also get 100% of the space rent subject to a maximum of INR 1 Lakh or actual rent paid, whichever is lower. Common expenses such as freight & insurance, local transport, secretarial/ communication services, printing of common catalogues may be funded as well. Eligibility: Existing SSI Units registered with the State Directorate of Industries that have upgraded their existing plant and machinery with state-of-the-art technology, with or without expansion are eligible under this scheme. Also, new SSI Units which are registered with the State Directorate of Industries which have their facilities only with the appropriate eligible and proven technology duly approved by the GTAB/TSC will be eligible. Overview: This startup scheme by the Indian government – aims at facilitating technology upgradations by providing upfront capital subsidy to small scale industry (SSI) units, including khadi, village, and coir industrial units, on institutional finance (credit) availed by them for modernisation of their production equipment (plant and machinery) and techniques. Fiscal Incentives: The Ceiling on loans under the scheme has been raised from INR 40 Lakhs to INR 1 Cr while the rate of subsidy has been enhanced from 12% to 15%. Here, the admissible capital subsidy is calculated with reference to purchase price of plant and machinery, instead of term loan disbursed to the beneficiary unit. Overview: The scheme aims to meet the credit requirements of MSME units. NSIC has entered into a Memorandum of Understanding with various nationalised and private sector banks. Through syndication with these banks, NSIC arranges for credit support (fund- or non-fund-based limits) from banks without any cost to the MSMEs. Time Period: The repayment period varies depending upon the income generated from the unit and generally varies from five-seven years. However, in exceptional cases, it can go up to to 11 years. Industry Applicable: Chemicals, technology hardware, healthcare & life sciences, aeronautics/aerospace & defence, agriculture, AI, AR/VR (augmented + virtual reality), automotive, telecommunication & networking, computer vision, construction, design, non-renewable energy, renewable energy, green technology, fintech, Internet of Things, nanotechnology, social impact, food & beverages, pets & animals, textiles & apparel. Eligibility: AICs can be established in public/private/public-private partnership mode. These can be established in: Academia – includes higher educational institutes and R&D institutions. Non-academic – includes companies/ corporates/ technology parks / industrial parks/ any individual/ group of individuals. Overview: AICs are set up under the Atal Innovation Mission (AIM). AICs aim to support and encourage startups to become successful enterprises. They will provide necessary and adequate infrastructure along with high-quality assistance or services to startups in their early stages of growth. As per June 16, 2017, Startup India Action Plan status report, NITI Aayog has approved 10 institutes to establish new incubators with a grant of INR 10 Cr each. Fiscal Incentives: AIM will provide a grant-in-aid of INR 10 Cr to each AIC for a maximum of five years to cover the capital and operational expenditure cost in running the centre. The applicant would have to provide a built-up space of at least 10,000 sq. ft to qualify for the financial support. Eligibility: Schools (Grade VI – XII) managed by the Government, local body or private trusts/society can apply to set up an ATL. Overview: The objective of this startup scheme by the Indian government is to foster curiosity, creativity, and imagination in young minds; and inculcate skills such as design mindset, computational thinking, adaptive learning, physical computing etc. As per the Startup India Action Plan, 500 Tinkering Labs are to be established. NITI Aayog has selected 457 schools for establishing Tinkering Labs. Of the selected, 350 Tinkering Labs have received a Grant-in-Aid of INR 12 Lakhs each. Earlier this month, NITI Aayog CEO Amitabh Kant stated that this year, the Atal Innovation Mission (AIM) scheme will look to select 1,000 schools. They will receive a grant of about $31K (INR 20 Lakhs) each. The money will be utilised to set up tinkering labs to foster innovation. Fiscal Incentives: AIM will provide grant-in-aid that includes a one-time establishment cost of INR 10 Lakhs and operational expenses of INR 10 Lakhs for a maximum period of five years to each ATL. 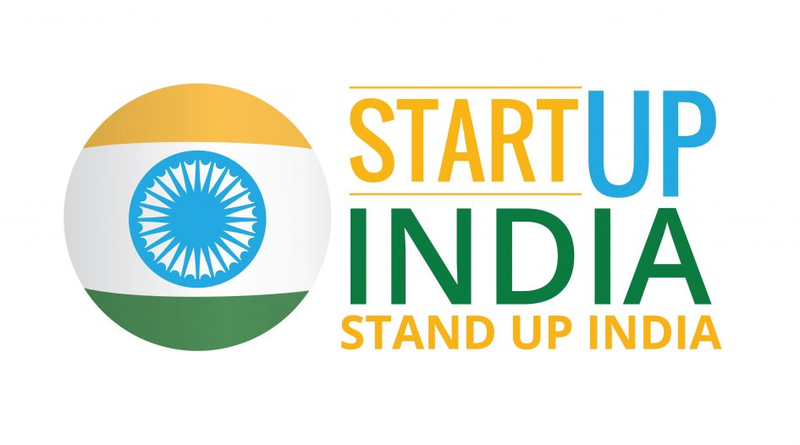 Eligibility: To avail benefits of this startup scheme by the Indian government, the startup should be a legal entity registered in India as a public, private, or public-private partnership and must be in operation for a minimum of three years. Overview: This startup scheme envisages to augment the capacity of the Established Incubation Centres in the country. It will provide financial scale-up support to enable Established Incubation Centres. The scheme would radically transform the startup ecosystem in the country by upgrading the Established Incubation Centres to world-class standards. Fiscal Incentives: Grant-in-aid support of INR 10 Cr will be provided in two annual instalments of INR 5 Cr each. Eligibility: Graduates, post-graduates, and professional degree holders in J&K. Overview: Udaan is a Special Industry Initiative for Jammu & Kashmir. This scheme by the Indian government provides employment-oriented training to the youth from the state for over five years, covering various sectors like business management, software, and BPO. The Scheme aims to cover 40,000 youth of J&K over a period of five years. As on July 2015, 10, 555 youths had joined the scheme with 585 selection drives conducted. Also, as per a May 2017 Business Standard report, INR 246 Cr have already been spent on the programme, but only 10% candidates were hired. Also, of the 9,780 Kashmiri youths who received jobs under Udaan, it is unclear how many are still employed. The NSDC eventually lost track of the beneficiaries. Fiscal Incentives: INR 750 Cr has been earmarked for the implementation of the scheme over a period of five years to cover other incidental expenses such as travel cost, boarding and lodging, stipend, travel and medical insurance cost for the trainees and administration cost. Furthermore, corporates are eligible for partial reimbursement of training expenses incurred for Udaan candidates who have been offered jobs. Industry Applicable: Chemicals, technology hardware, healthcare & life sciences, aeronautics/aerospace & defence, agriculture, automotive, construction, non-renewable energy, renewable energy, green technology, Internet of Things, nanotechnology, social impact, food & beverages, textiles & apparel. Eligibility: Indian capital goods sector unit or their consortium. Overview: The scheme objective is to boost the Indian economy by making Indian Capital Goods Sector globally competitive. The Technology Acquisition Fund Programme (TAFP) under the scheme provides financial assistance to existing capital goods industrial units for acquiring/ transferring and assimilating advanced technologies and also the development of technologies through contract route, in-house route or through the joint route of contract in order to achieve global standards and competitiveness. Fiscal Incentives: Selected startups will get a one-time grant up to 25% of the cost of the technology acquisition of each technology. Maximum amount given shall not exceed INR 10 Cr. Industry Applicable: Renewable energy, clean energy, green energy plants. Eligibility: To avail this particular scheme by the Indian government, plants should have a minimum two-year operational history, after commissioning of the project and the 2 year’s average PLF (in case if the plant has operated for more than 2 years, then the average PLF of any 2 years) should be at least 20% in case of biomass power and 15% in case of Small Hydro Power (SHP) projects. The project should also have a minimum of average DSCR of 1.1, after taking into account IREDA refinance amount and should be able to service the loan. The project should be revived/operationalised within six months from the date of disbursement. Overview: The scheme aims to revive the operations of the existing biomass power and small hydro power projects by bringing down the cost of funding these projects. This is done by providing refinance at concessional rates of interest, with funds sourced from the National Clean Energy Fund (NCEF). 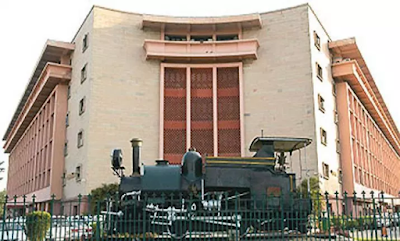 Fiscal Incentives: In terms of the scheme, IREDA would provide funds received from NCEF by way of refinance to scheduled commercial banks and financial institutions (including IREDA). Refinance should not exceed 30% of the loan outstanding, @ 2% interest rate from IREDA to Scheduled commercial banks / FIs (including IREDA) and the same shall be extended by the Banks/FIs to the project developers at the same rate of 2%, subject to, maximum refinance amount INR 15 Cr per project. Time Period: The scheme will be in operation for a period of five years commencing from the financial year 2013-14. Eligibility: The applicant should be an existing borrower of IREDA (Sole/co-financing/consortium financing). The borrowers should not be declared as NPAs by any of the lenders. The discounted amount will be utilised only for clearance of dues of term lenders of the project and also working capital lenders overdue, if any on a pro-rata basis, in terms of financing documents. Overview: This scheme by the Indian government proposes to provide bill discounting facility for the energy bills of Indian Renewable Energy Development Agency (IREDA) borrowers which are pending for payment with Utilities for upto six months. Fiscal Incentives: Upto 75% of the invoice value pending for maximum six months from the date of the application subject to a maximum bill discounting facility of INR 20 Cr. The minimum amount of transaction covering a set of bills shall not be less than INR 1 Cr. Time Period: Terminal date of repayment will be 12 months from disbursement date. To get more information about this startup scheme, one can click here. Eligibility: MNRE accredited channel partners, State Nodal Agencies (SNA) and other stakeholders, as approved by MNRE, who have already submitted valid claims of capital subsidy at IREDA, which is pending for the release of payment on account of non-availability of funds, will be eligible under the scheme. Overview: The aim is to provide term loans for renewable energy and energy efficiency projects. Fiscal Incentives: The selected startup or government business projects will get up to 80% of the existing pending eligible capital subsidy claim, as verified by the IREDA with a minimum loan assistance of INR 20 Lakhs. The loan amount to be recovered out of capital subsidy received/to be received from MNRE. The shortfall, if any, will be recovered from the borrower, which will be payable on demand. Eligibility: Renewable energy developers who have already submitted a valid GBI claim under GBI Scheme with the Indian Renewable Energy Development Agency (IREDA), which is processed and pending for the release of payment on account of non-availability of funds, will be eligible under this scheme. Overview: GBI loans were announced for grid interactive wind and solar power projects. The main aim is to broaden investor base, facilitate the entry of large independent power producers and to provide a level playing field to various classes of investors. Fiscal Incentives: A minimum loan assistance of INR 20 Lakhs is provided under this scheme. Loan amount to be recovered out of GBI proceeds received/to be received from MNRE. A shortfall, if any, will be recovered from the borrower, which will be payable on demand. Eligibility: This scheme by the Indian government is available for all grid-connected/interactive solar PV projects located on rooftops. Applications can be submitted under Aggregator Category and Direct Category. For the aggregator category minimum project capacity to be submitted shall be at least 1,000 kWp and a minimum capacity of subprojects under this mode shall not be less than 20 kWp. For the direct category, applicants shall include projects from single roof owners only. Minimum project capacity to be submitted shall be at least 1,000 kWp. Private sector companies/firms, central public sector undertaking (CPSU), state utilities/ discoms/ transcos/ gencos/ corporations and joint sector companies can apply for the loan. Overview: This startup scheme aims to support all grid connected/interactive solar PV projects located on rooftops. Fiscal Incentives: The quantum of a loan from the IREDA shall be 70% of the project cost with minimum promoter’s contribution of 30%. However, the IREDA may extend the loan upto 75% of the project cost based on the credit-worthiness of the promoter, track record, project parameters, etc. The maximum repayment period for the loan shall be up to nine years, with a moratorium period of 12 months from the date of COD of the project. The maximum construction period shall be 12 months from the first disbursement. Eligibility: Commercially viable, grid-connected renewable energy projects (solar/wind) with a minimum average DSCR of 1.2 can apply under the scheme. Also, the minimum issue size of the proposed bonds should not be less than INR 100 Cr. Overview: This scheme by the Indian government acts as a non-fund partial credit guarantee instrument for project developers/ promoters to raise bonds against commissioned and operationally viable renewable energy projects. Fiscal Incentives: The IREDA will provide credit enhancement by way of unconditional and irrevocable partial credit guarantee to enhance the credit rating of the proposed bonds. The IREDA can extend guarantee upto 25% of the proposed issue size of the bonds and, in any case, it should not be more than 20% of total capitalised project cost. The guarantee fee to be charged by the IREDA shall be in the range of 1.8%-2.9% p.a. of its exposure. Time Period: The guarantee period will be linked with the period for which bonds are issued, the maximum tenure of the project bonds may be upto 15 years. Industry Applicable: Agriculture, pets & animals, social impact, food & beverages. Eligibility: Farmers, individual entrepreneurs, NGOs, companies and groups from the unorganised and organised sector can apply under this scheme. An individual will be eligible to avail assistance for all the components under the scheme but only once for each component. More than one member of a family can be assisted under the scheme provided they set up separate units with separate infrastructure at different locations. The distance between the boundaries of two such farms should be at least 500 metres. Overview: This startup scheme by the Indian government aims to bring structural changes in the unorganised sector so that initial processing of milk can be taken up at the village level itself and bring about upgradations of traditional technology to handle milk on a commercial scale. Fiscal Incentives: The incentives differ with respect to the cost of the required equipment or establishment of the facilities. In all cases, 25% of the outlay (33.33 % for SC / ST/ farmers) as back-ended capital subsidy subject to the applicable ceiling is provided to the eligible stakeholders. Eligibility: MSME units in the manufacturing or services sector which are in operation for at least three years and have earned cash profit in the last two years of operation are eligible. The startup should not be in default to any bank/FI. The unit should have undergone a process of Detailed Energy Audit (DEA) through a technical agency/consultants having BEE certified Energy Auditors. Furthermore, the Detailed Project Report (DPR) prepared by the technical agency/consultant should have been vetted by the EEC, SIDBI. Also, the unit should not have availed a Performance Linked Grant under the WB-GEF Project for the proposed EE Project and should be in compliance with the Environment & Social Management Framework. Overview: The scheme has been launched jointly by India SME Technology Services Ltd. (ISTSL) in association with the World Bank. The main objective is to implement energy efficiency measures on an end-to-end basis. For meeting part costs of (i) capital expenditure including for the purchase of equipment/machinery, installation, civil works, commissioning, etc. (ii) Any other related expenditure required by the unit, provided it is not more than 50% of (i). The scheme by the Indian government, also, it aims to help startups finance second-hand machinery/equipment for use. Fiscal Incentives: Under the 4E scheme, the MSME unit has to pay only INR 30,000 and applicable taxes and the balance fee will be paid by SIDBI to auditors. Up to 90% of the project cost with minimum loan amount of INR 10 Lakhs and maximum loan amount not to exceed INR 150 Lakhs per eligible borrower can be granted under this scheme. Eligible loan amount should not exceed one-fifth of the total turnover of the applicant unit. Also, the repayment period including initial moratorium period of up to six months, shall not be more than 36 months for loans up to INR 100 Lakhs and 60 months for loans beyond INR 100 Lakhs. Eligibility: Non–Corporate Small Business Segment (NCSB) comprising millions of proprietorship / partnership firms running as small manufacturing units, service sector units, shopkeepers, fruits / vegetable vendors, truck operators, food-service units, repair shops, machine operators, small industries, artisans, food processors and others, in rural and urban areas can apply for the loan. All kinds of manufacturing, trading and service sector activities can get a MUDRA loan. Overview: MUDRA provides refinance support to banks / MFIs for lending to micro units having loan requirement upto INR 10 Lakhs. As per recent media reports, loans extended under the PMMY during 2016-17 have crossed the target of INR 1.8 Lakh Cr. The estimated number of borrowers in this fiscal were more than 4 Cr, of which 70% were women. Furthermore, for the fiscal year 2017-18 the target has been kept at INR 2.44 Lakh Crore for Mudra Loans. Generally, loans upto INR 10 Lakhs issued by banks under Micro Small Enterprises are given without collateral. Also, within these interventions, MUDRA ensures to meet the requirements of different sectors/business activities as well as business/entrepreneur segments. Eligibility: The enterprise can be in trading, manufacturing, or services. In the case of non-individual enterprises, at least 51% of the shareholding and controlling stake should be held by an SC/ST or woman entrepreneur. The borrower should not be in default to any bank or financial institution. Overview: This scheme by the Indian government facilitates bank loans between INR 10 Lakhs and INR 1 Cr to at least one Scheduled Caste or Scheduled Tribe borrower and at least one women borrower per bank branch for setting up a Greenfield enterprise. Fiscal Incentives: Composite loan between INR 10 Lakhs and INR 1 Cr to cover 75% of the project cost can be taken up, inclusive of the term loan and working capital. The stipulation of the loan being expected to cover 75% of the project cost would not apply if the borrower’s contribution along with convergence support from any other schemes exceeds 25% of the project cost. The rate of interest would be the lowest applicable rate of the bank for that category (rating category) not to exceed (base rate (MCLR) + 3%+ tenor premium). Time Period: The loan is repayable in seven years with a maximum moratorium period of 18 months. Eligibility: Renewable energy projects such as solar power plants, wind energy generators, mini hydel power projects, biomass gasifier power plants, etc. for captive/ non-captive use (i.e., power generated is sold/supplied to the grid / off-grid). Any kind of potential CP investments including waste management. Suitable assistance to OEMs which manufacture energy efficient / cleaner production / green machinery/equipment. Either the OEM should be an MSME or it should be supplying its products to a substantial number of MSMEs. Overview: The objective of this startup scheme by the Indian government is to assist the entire value chain of energy efficiency (EE) / cleaner production (CP) and sustainable development projects which lead to significant improvements in EE / CP / sustainable development in the MSMEs and which are presently not covered under the existing sustainable financing lines of credits. Fiscal Incentives: Suitable assistance by way of term loan/working capital to ESCOs implementing EE / CP / Renewable Energy project provided either the ESCO should be an MSME or the unit to which it is offering its services is an MSME. The rate of interest will be applicable on basis of credit rating of MSME’s. Eligibility: New enterprises in the manufacturing, as well as services sector, can apply under this scheme. Existing enterprises undertaking expansion, modernisation, technology upgradations or other projects for growing their business will also be covered. Overview: The aim of this scheme by the Indian government is to provide a soft loan, in the nature of quasi-equity, and term loan on relatively soft terms to MSMEs to meet the required debt-equity ratio for the establishment of an MSME as also for pursuing opportunities for growth for existing MSMEs. Fiscal Incentives: For general category, 10% of the project cost subject to a maximum of INR 20 Lakhs is provided as the loan amount. It increases to 15% for the enterprises promoted by Scheduled Caste (SC) / Scheduled Tribe (ST) / Persons with Disabilities (PwD), and women, subject to a maximum of INR 30 Lakhs. Persons belonging to these categories must own controlling stake (i.e. 51% or higher). Time Period: On expiry of three years from the date of the first disbursement, the outstanding soft loan together with any dues thereon shall be converted into a secured term loan and the entire loan shall carry an applicable rate of interest as per internal rating of the borrower. The repayment period is generally upto seven years inclusive of the moratorium upto 1-1/2 year for the term loan and upto two years for a soft loan. Eligibility: Early-stage units where revenue has commenced after product acceptance by at least one corporate customer with repeat orders, or in the case of retail consumers, a trend of revenue for six months has been observed. Only those early-stage MSMEs which are defined in the MSMED Act, 2006 (Constitution of the units to be Private Limited Companies) will be considered eligible. These companies, should not, in general, be in existence for more than 5 years; or – not received adequate and regular bank credit facilities (except under the Credit Guarantee Trust for Micro & Small Enterprise or Overdraft against Fixed Deposits); or could have incurred losses in the past years. However, to avail of scheme benefits, a clear plan for profitability (EBIDTA, cash and net level) should be in place over the next two years. Overview: The scheme by the Indian government aims to provide structured financing for ‘startups’ and ‘early-stage enterprises’ mostly in sectors which traditionally do not involve physical assets like technology, biotech, asset-light service sector businesses, web/ mobile-based businesses, clean technologies, social ventures, etc. Innovative business models in other asset-based sectors could also be considered selectively. Fiscal Incentives: The financial assistance provided is need-based, subject to a maximum of INR 200 Lakhs and equity kicker (1%-2% equity on paid up capital at par or a suitably structured kicker). Currently, 14% rate of interest is applicable on the loan amount. Time Period: The loan repayment tenure is upto 7 years including need-based moratorium. Eligibility: The eligible stakeholders under this scheme include an MSME as per the definition of Government of India (MSMED Act), SIDBI’s existing customers (meeting internal rating criteria) and units with past three years of profitability and two years of satisfactory banking credit track record (meeting internal credit rating criteria). Acceptable external rating from CRISIL, ICRA, D&B, SMERA etc. would be desirable. Overview: This scheme by the Indian government provides assistance to existing Small and Medium Businesses in need of capital for growth. The assistance is provided in form of mezzanine/convertible instruments, subordinated debt and equity (in deserving cases). This quasi-assistance has a higher moratorium on repayment and a flexible structuring. Fiscal Incentives: Under this scheme, the MSMEs are helped to leverage equity/sub-debt assistance from SIDBI for raising higher debt funds. It also helps to avoid the complexities of enterprise valuation, exit issues etc.– associated with equity investments. Information regardin the amount of growth capital provided to the MSME enterprises is not available. Industry Applicable: Events, chemicals, technology hardware, healthcare & life sciences, aeronautics/aerospace & defence, agriculture, AI, AR/VR (augmented + virtual reality), automotive, telecommunication & networking, computer vision, construction, design, non-renewable energy, renewable energy, green technology, fintech, Internet of Things, nanotechnology, social impact, food & beverages, pets & animals, textiles & apparel. Eligibility: The support is provided to research institutes/ universities/medical and engineering colleges and other academic institutes/professional bodies who organise such events. The applicant should be an Indian citizen residing in India and must hold a regular position in a recognised academic institution or in a national laboratory / recognised R&D institution. Also, he/she should submit the application not earlier than six months and not later than three months, before the date of the event. Overview: SERB extends partial support on a selective basis, for organising seminar/symposia/ training programmes/workshops/conferences at national as well as international level, for the scientific community to keep them abreast of the latest developments in their specific areas. The primary focus of the scheme is to support events having a strong orientation towards scientific research in the areas of basic sciences, engineering, technology, agriculture & medicines. Fiscal Incentives: The incentives include nominal support for pre-operative expenses like domestic travel for young and senior scientists (Indian only), contingencies (stationery items, working tea /lunch, audio-visuals etc.) and pre-conference printing (announcements, abstracts etc.). Industry Applicable: Chemicals, healthcare & life sciences, nanotechnology, social impact. Eligibility: Support is provided to research institutes/ universities/medical and engineering colleges and other academic institutes/professional bodies who organise such events. Support is also provided to Indian citizens residing in India, holding a regular academic/research position in a recognised institution. The proposals can be submitted by an individual or by a team of investigators. Overview: SERB supports basic research employing modern biology, immunology, and chemistry to investigate the concepts, procedures, and products of Ayurveda. The current areas of interest include Rasayana and degenerative diseases; Prakriti and human genomics; role of Pathya and nutritional sciences in health and disease; and physiological, immunological and biochemical correlates of traditional Ayurvedic procedures such as Panchakarma. Fiscal Incentives: SERB extends partial financial support, on a selective basis, for organising such domestic events (as well as international). Support is primarily given to encourage participation of young scientists and research professionals in such events along with nominal support for pre-operative expenses like announcements brochures, etc. Eligibility: The academic partner must be an Indian citizen and hold a regular academic/research position in an academic institution or national laboratories or recognised R&D institutions. More than one academic partner may be allowed. For being an industry partner, all industries (including MSME & industrial R&D Centres) are eligible. More than one Industry and or more than one Investigator from one Industry can be associated with a project. He/she should be an Indian citizen residing in India, holding a regular academic/research position in a recognised institution. Overview: SERB aims to support ideas that address a well-defined problem of industrial relevance through this scheme. The proposal is jointly designed and implemented by an academic partner (which includes a partner from national laboratories/recognised R&D institutions, as the case may be) and industry. Fiscal Incentives: The industry share should not be less than 50% of the total budget. Overhead is provided to the academic partner. The SERB share shall not exceed INR 50 Lakhs for a project. The upper cap may be relaxed on a case-to-case basis.The support from SERB shall be extended only to the academic partner and not to the industry. The research grant will be provided for equipment, manpower, consumables, travel, pilot plant study, and any other costs associated with the project. Time Period: First call in a financial year will be made in the first week of June of every year and the window will be opened for submission of research proposals from June 1 to July 31. Funding decision on the proposals will be communicated to the PIs during December and the grant will be released in January-February next year. The second call will be made in the first week of November of every year and the window will be opened for submission of research proposals November 1 to December 1. Funding decision on the proposals will be communicated to the PIs during May next year and the grant will be released in June-July. Eligibility: Indian citizen residing in India, holding a regular academic/research position in a recognised institution can apply under this scheme. The proposals can be submitted by an individual or by a team of investigators. Overview: SERB aims at supporting proposals that are conceptually new and risky, and if successful, expected to have a paradigm-shifting influence on science and technology. Proposals that address scientific issues which will result in ‘incremental’ knowledge will not be supported. Fiscal Incentives: The research grant covers equipment, consumables, contingency and travels apart from overhead grants. No budget limit is prescribed for these projects. Time Period: First call in a financial year will be made in the first week of June of every year and the window will be opened for submission of research proposals from June 1 to July 31. Funding decision on the proposals will be communicated to the PIs during December and the grant will be released in January-February next year. The second call will be made in the first week of November of every year and the window will be opened for submission of research proposals November 1 to December 31. Funding decision on the proposals will be communicated to the PIs during May next year and the grant will be released in June-July. Eligibility: Scientists, engineers, or technologists working in academic institutions, registered societies, R&D institutions, laboratories having adequate infrastructure & facilities to carry out technology development work as well as prototype building. Overview: The mandate of Technology Development Programmes (TDP) is to convert proof-of-concepts for the development of pre-competitive/commercial technologies/ techniques/ processes. Some of the typical areas in which proposals can be submitted are glass, ceramics, molecular/ biomolecular electronics, polymer and biosensors, waste (plastic, hospital & electronic) utilisation and management, laser/ plasmas/ microwave technology, alternate fuels, fuel conservation, efficient utilisation of fuels, civil infrastructure technologies etc. Fiscal Incentives: Institutions under this scheme get support for project staff salaries, equipment, supplies and consumables, contingency expenditure, patent filing charges, outsourcing charges, internal travel, fabrication costs, testing charges, overheads, etc. For Industry, the only cost of consumables up to 50% has been approved while for Institution/Industry Joint Programmes, support to the Industry up to 50% of the cost of consumables is provided. Eligibility: Scientists & Technologists; Statisticians and economists; Sociologists; as well as Development/ Planning/ Policy Experts, Management Specialists etc. from academic/research institutions, registered societies, voluntary agencies (NGOs), professional bodies & consulting organisations etc. can apply under this scheme. Overview: DST under this scheme sponsors research projects/studies to interested investigators/organisations where studies could be taken up in the areas of S&T investment, S&T infrastructure, S&T output, S&T databases, S&T manpower, R&D productivity/efficiency etc. Fiscal Incentives: Grant-in-aid is provided for projects. Also, overheads on projects are provided at the rate of 10% of the total project cost for educational institutions and NGOs and 8% for laboratories & institutions under Central Government departments/agencies. Eligibility: An Indian company, whether small, medium, or large with a DSIR-recognised in-house R&D unit, is eligible under this scheme. Also, a joint association of an Indian company and national R&D organisations and institutions; as well as a group of Indian companies along with national research organisations etc. are eligible. Overview: The scheme is a government partnership with industries for support on a cost-sharing basis for path-breaking research in frontier futuristic technology areas having major economic potential and making the Indian industry globally competitive. It is focussed on IP creation with ownership retained by Indian industry and, wherever relevant, by collaborating scientists. Fiscal Incentives: The eligible stakeholders are provided support for high-risk, accelerated technology development especially in futuristic technologies. Support is also provided for companies working in very high-risk, nationally- and socially-relevant areas, with no assured market. It provides for product evaluation and validation through support for limited and large-scale field trial for agriculture products and clinical trials (Phase I, II, III) for health care products and also supports research project for novel IP generation. Time Period: There are three calls for proposals in a year: February 15–March 31, June 15–July 31 and October 15–November 30. Eligibility: Indian startups which are less than three years old from date of advertisement which have 51% ownership, Indian LLPs and those which have Department of Scientific and Industrial Research (DSIR) Recognition (only for early transition & transition to scale) are eligible to apply under the scheme. Overview: BIRAC aims to promote and foster cutting-edge technologies in the field of medical electronics through this scheme. The project IIPME is a partnership project between the Department of Electronics and Information Technology, Ministry of Communications and Information Technology, Government of India, and Biotechnology Industry Research Assistance Council, a public sector undertaking of the Department of Biotechnology, Ministry of Science and Technology, Government of India. Fiscal Incentives: The loan and grant are provided according to the startup stage. The Seed Grant (Idea to PoC) is INR 50 Lakhs for 18 months, early transitions funding include INR 100 Lakhs for 24 months and for those transitioning to scale, a mix of grant & loan for 24 Months is provided. Time Period: The call for application is made three times a year, with evaluation cycle starting from July 10, November 10, & March 10 in the specified order. Eligibility: Indian citizen residing in India, holding a regular academic/research position in a recognised institution can apply. The proposals can be submitted by an individual or by a team of investigators. The proposal will be funded if it has novelty and the investigator has the competence to execute the project. Overview: The Board funds all the areas of science and engineering without discriminating between disciplines for EMR projects. Fiscal Incentives: The research grant covers equipment, consumables, contingency and travels apart from overhead grants. No budget limit is prescribed. The budget is decided based on the requirement for its successful implementation. The Investigator should propose a budget which is realistic, taking into account, the infrastructure and resources available at the implementing institutions. The average cost of the EMR project is INR 35 Lakhs for a duration of three years. Time Period: Funding is provided normally for a period of three years. Biotechnology Indian startups should be incorporated under the Indian Companies Act and have a minimum of 51% Indian Ownership. Plus, they should be less than three years old as on the date of advertisement/ Indian entrepreneurs (Indian citizen willing to form a Company as per Indian Law). Limited Liability Partnership (LLP) should be incorporated under the Limited Liability Partnership Act, 2008. Plus, it should be less than three years old as on the date of advertisement, having a minimum half of the persons who subscribed their names to the LLP document as its Partners should be Indian citizens. Indian academic scientists, researchers, PhDs, medical degree holders, biomedical engineering graduates (who must be willing to incubate in a business incubator). Proprietorship concern established by an Indian citizen and a Certificate/license should be issued by the municipal authorities/ under the Shop & Establishment Act /under other relevant statutes. No DSIR certification is required. Companies incorporated under the Indian Companies Act having a minimum of 51% Indian ownership. Indian institution/ universities/ public research organisation who can become co‐applicants along with the company/LLP as main applicant established in India and having NAAC/ UGC/ AICTE or any equivalent recognition certificate. Partnership firms/society/ Trust/ NGO/ foundation/ association established in India under the relevant Indian Law, having at least half of the stakeholders (partners/ trustees/ members/ associates etc) as Indians. The product should have gained necessary approvals from the concerned regulatory authority (‐ies) for pilot studies. It is desirous that the projects show partnership or a consortium of product/service innovator Company, an implementer/deployer (research foundations, Section 25 companies etc) and clinical partner(s). Any such partner for execution/ implementation can become a co‐Applicant in the proposal. Overview: The scheme intends to create a pool of social innovators in the biotech arena who will identify specific needs and gaps in health care. The social innovators will be provided financial and technical support for developing market-based solutions that have potential to bring cost effective health care breakthroughs to vulnerable populations in particular. Fiscal Incentives: For startups at the idea to proof of concept (PoC) stage, grant‐in‐aid up to INR 50 Lakhs for a period up to 18 months is available. For those at the proof of concept to validation stage, the amount remains the same but the time period increases to 24 months. In the case of access to Innovative Pilot Scale Delivery Models – grant‐in‐aid for a period up to 24 months is provided. The project cost sanctioned for the company would be matched equally by BIRAC and the company.